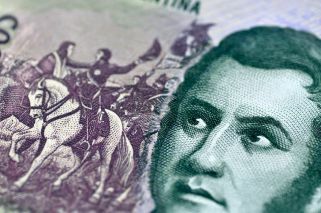 The Rosario Board of Trade estimated losses in gross income for producers across several departments of Santa Fe province. Farmers across Santa Fe province have lost millions of dollars as a result of recent flooding in Argentina's north, the Rosario Board of Trade reported. The entity estimated losses in gross income among producers across several departments of Santa Fe province, in particular Nueve de Julio, Vera, General Obligado and San Javier. Flooding in Argentina's north has prompted evacuations and caused widespread damage to infrastructure since December. It comes after a dismal 2018 for Argentine producers, which were struck by drought. Maize, soybean, sunflower, cotton and sorghum crops were all badly affected by the January rain's, the BRC reported. Forecasted maize yields in the area were 218,500 hectares. However, producers can now expect to successfully crop just 70 percent of that total, for a loss of up to US$87.7 million. Soybean crops were also badly damaged, particularly in the north of the province. 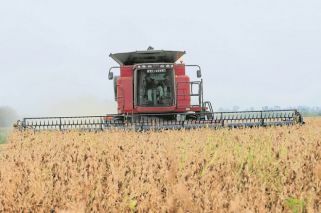 Across the province, the estimated 477,000 tonnes of soy was slashed to 258,000 tonnes as a result of the floods, BRC said, resulting in a loss of US$ 52.3 million. The forecast for double cropped soybean was for 105,000 hectares and a total 306,000 tonnes. However, this was reduced to 106,268 tonnes following the floods, resulting in an estimated loss of US$47.7 million. When it came to sunflower, a total 79,000 tonnes was slashed from the previously estimated 234,000 tonne yield; while cotton and sorghum losses were estimated at 11,000 hectares and 60,000 hectares, respectively.